“Immersive” is truly the word to describe this experience. Our program was packed from morning to evening, including sessions and panels tailored to our unique position as young professionals entering the workforce. In addition, we were seamlessly integrated into the meeting by attending sessions ranging from Social Media to the Youth Opioid Crisis with our CBM colleagues. We had the invaluable opportunity to network with professionals across the public and private sectors and gain honest insights to shape our individual career goals. Every person we met was so friendly and eager to speak with us about their experiences, and I am beyond grateful for the opportunity to grow as a professional in such a warm and welcoming environment. It is also worth noting that most of this year’s meeting occurred during the partial U.S. government shutdown – certainly an unusual way to experience Washington! It was impressive to see how the Global Ties staff and network rescheduled and rethought sessions due to absences of furloughed speakers. Although all the participants were filled with questions about the implications of the shutdown for our work, the conference remained positive and engaging. Our sessions and workshops were incredibly informative and eye-opening, but my favorite aspect of the program was getting to know the other Emerging Leaders. There were 18 of us this year, all from different CBMs across the country. We each came to the meeting with our own academic backgrounds and future ambitions, but it became quite apparent that we are forever linked by our love of international exchange. 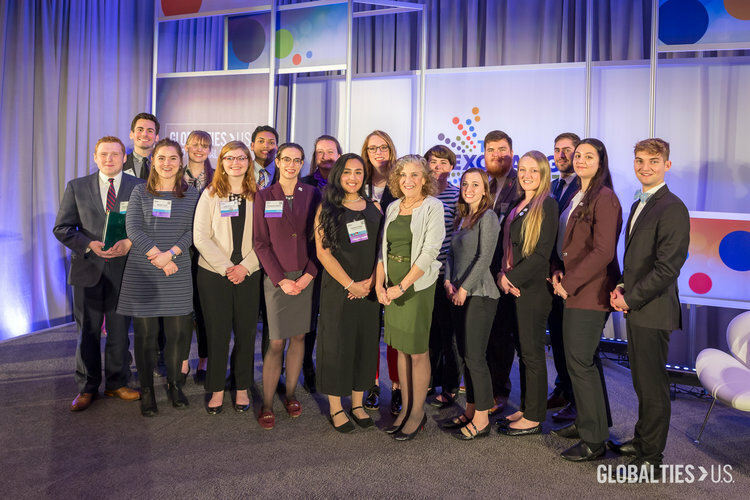 My time at WorldBoston has been underscored by an atmosphere of passion and enthusiasm for connecting Boston with the world, and I am so inspired after seeing this same passion in young people advocating for international exchange in their own cities. The Emerging Leaders Program was both humbling and motivating, and I am excited to see the accomplishments of this new era of the public diplomats. Members of WorldBoston gathered last night for the final Chat and Chowder of the year, a monthly discussion on new books and how they could be applied in terms of international affairs. Boston’s current events enthusiasts came together for a warm cup of chowder and some drinks to listen to a lecture and question and answer section on the subject of cultural psychology. This talk was led by Michele Gelfand, a professor of psychology at the University of Maryland on her new book Rule Makers Rule Breakers: How Tight and Loose Cultures Wire Our World. An expert in the field of cross-cultural psychology, Dr. Gelfand described how different cultures and subgroups, be they nations, states, or even social classes, could be categorized by how “tight” or “loose” they are-that is, how strictly groups adhere to social norms and how deviance from the norm is approached. Tight cultures tend to exhibit more security, less, crime, and place an emphasis on uniformity and self-control. Deviation from the norm tends to be treated more harshly, be it social ostracization or legal punishment, than in looser cultures. Dr. Gelfand pointed to Japan, Singapore, and Germany as some examples of “tighter” countries, whereas more loose states, such as the US, Brazil, or Greece, tend to exhibit more openness, creativity, and tolerance for deviation. This phenomenon, Gelfand pointed out, could also be seen in different regions within nations and social classes, giving the example of how U.S. states could differ in tightness or looseness and how poorer or more working class people exhibited a tighter mindset than wealthier ones. She explained that a tighter mindset tends to come from existential threats, such as natural disasters, invasion, or high population density that makes adherence to strict rules valuable. Population density itself might not be an existential threat, but having so many people living in close quarters makes strict social norms that much more important to keep these groups on a similar page-for example, we might not understand why chewing gum is banned in Singapore, but a country with a large population density where gum litter was becoming such a nuisance that affected such a large number of people, the leadership saw no choice but to ban it outright. Groups that face a new existential threat have also been observed to become tighter and crave more rules and order when things start to feel too different or out of control. Understanding these differences, she explained, helps increase our cultural understanding and cultural literacy makes international negotiation that much easier-when we understand the culture and rational behind cultural norms, it is much easier to come to agreements and a clear understanding of the other parties’ motivations. She wrapped up her lecture by explaining that it is not necessarily better or worse to be tight or loose, but the most successful outcomes stem from maintaining a balance-social norms are important to be able to predict how to behave, but deviance can encourage creativity and new ways to approach challenges. “Robert Kagan, Friedman Senior Fellow with the Project on International Order and Strategy at Brookings, spoke last Thursday about his new book, The Jungle Grows Back: America and our Imperiled World. 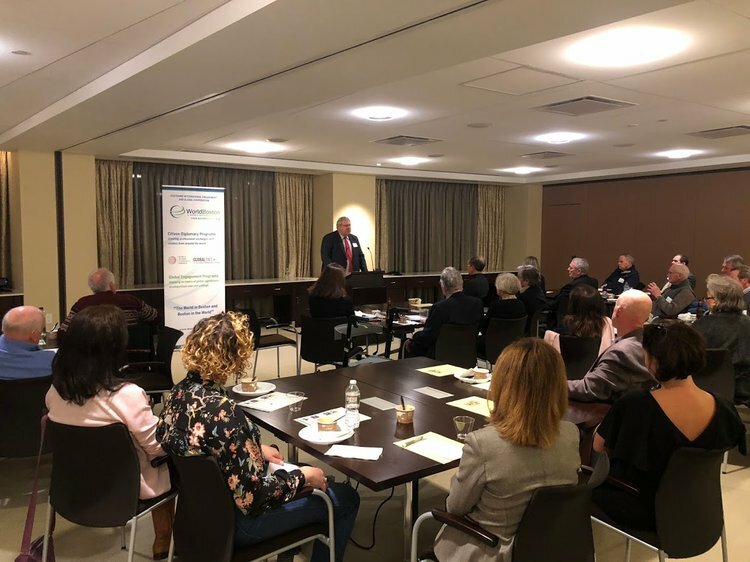 Hosted by WorldBoston, a nonprofit organization and World Affairs Council dedicated to engagement on international affairs, the intimate gathering took place on the 25th floor of the Prudential Center, situated amid gorgeous views of the Boston cityscape. Kagan’s talk was yet another installment of Chat & Chowder, an ongoing book talk series featuring topics ranging from international affairs to current events. Attendees were treated to an assortment of delicious Boston chowders as well as other beverages and refreshments. 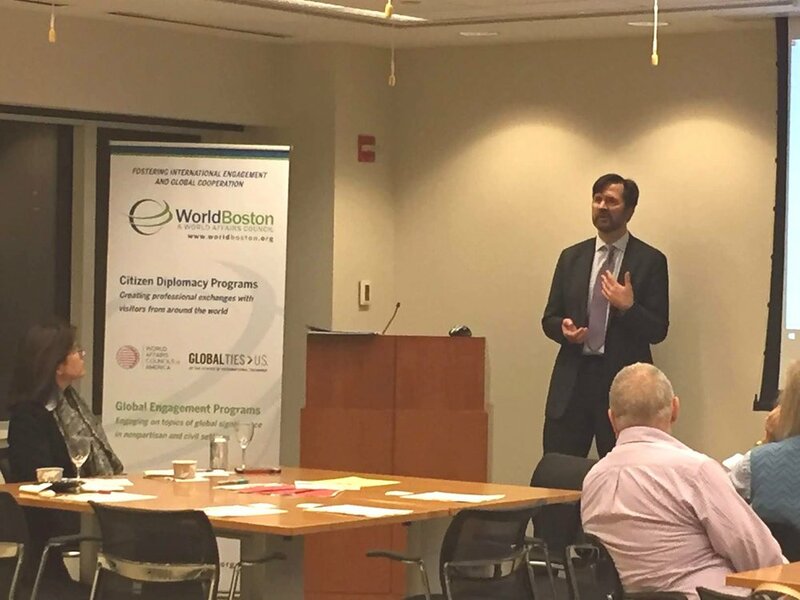 Prior to the talk, WorldBoston members and guests were able to mingle, getting to know one another as development and policy professionals and world affairs aficionados alike. Once his talk began, Kagan received everyone’s rapt attention, and for the rest of the evening conversations tuned in to debates of American foreign policy. “We’re having a great debate without actually discussing anything,” Kagan remarked, lamenting the state of current American politics. To this degree he noted some rare similarities between Trump and Obama’s domestic nation-building efforts, citing a gradual American withdrawal from being a major participant in world affairs. A “fragile” Liberal World Order is contingent on sincere American participation, as we are one of its founders and, in a sense, guarantors of the system’s wellbeing. During his talk, Kagan argued that the “America First” policy of protectionism in exchange for domestic wealth blatantly defies the other members of a world order based on free trade and mutual prosperity. To that end, he gave an impassioned appeal for foreign policy leaders to take into account historical episodes of isolationism as harbingers of chaos and disorder. According to Kagan, if America does commit to upholding the international system it helped to create, and instead retracts into isolationism, the system is bound to collapse. Kagan did leave us with a bright note by the end of his talk. On the overall resilience of our current system he remarked, “Even Donald Trump couldn’t wreck this easily.” He offered a few suggestions to reform policy, and put faith into the liberalist system as able to endure what inevitable challenges to its stability may come. Rock, historical sites along Plymouth Waterfront, and eat a traditional Thanksgiving dinner. This visit would not have been complete without the Plymouth 400, Inc. – another massive thank you to them! This non-profit organization is hosting a series of commemoration events in 2020 to highlight the cultural contributions and American traditions that emerged from the interactions between the Wampanoag tribe and English settlers. 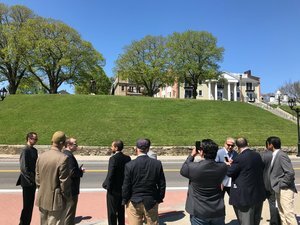 Ms. Michelle Pecoraro (Executive Director) and Mr. Brian Logan (Communications Manager) from the Plymouth 400 were kind enough to meet with the visitors from Saudi Arabia to discuss the preparations for the 400 th anniversary of the Plymouth Colony. 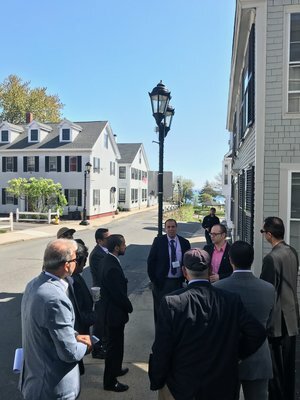 They also provided a guided walking tour of the modern-day location of the first settlement and along the historic Waterfront. Thanks to WGBH's Forum Network, we're pleased to announce that our February 27 event, The State of the State Department, featuring Ambs. Nicholas Burns and Barbara Stephenson, is now available online for viewing!